If you’ve been hearing the call of the road or feeling in the back of your brain the itch to take your dream trip, now is the time to pack your bags and travel. The U.S. dollar is picking up strength, fuel prices are insanely low, and airline routes are getting cheaper. These are just a few reasons 2016 is quickly turning into the perfect year to travel. Here are ten reasons why 2016 is an awesome year to take that long needed vacation. With the rebound of the United States economy, the USD has been gaining ground on currencies that have been beating it for years. For travel addicts, this is great news. For US travelers, 2016 promises better rates than have been seen in years, and makes touring places like Europe, Australia, and the UK a lot more affordable to visit. Only a few years ago, the exchange rate was close to .73 Euro Cents to the dollar. As of March of 2016, $1 USD equals .91 Euro cents. An 18 cent difference might not seem like a lot, but trust me that money adds up extremely fast. It’s extremely refreshing to know that you are getting more bang for your buck. For places that have always been cheap like Asia, your money goes even farther meaning you can use those saving for epic adventures like scuba diving. Budget Airlines are a fantastic way to travel around for a fraction of the price. Until recently, budget flights have been confined to whichever continent you are on. Yes, these airlines make getting around Europe cheap, but what about getting to Europe in the first place? In the past, travelers had no choice but to pony up, break open the piggy banks, and purchase expensive tickets to foreign destinations. I remember my first solo trip to Europe cost over $1,200 for a round trip ticket. For a long time, there were no budget options available to fly across continents. This all changed in 2012 with Wow Airlines, which started budget flights from Europe to America. Over the years, their prices have kept dropping. Recently, they have advertised round trip tickets to Europe for as little as $300. Many other airlines have followed suit making international travel affordable and desirable. However, traveling on budget airlines can have some limitations. Many of the flights only fly out of select cities like Boston, New York, and Washington D.C. In 2016, WOW is expanding and opening new $99 routes to and from Europe in from the west coast of America and some parts of Canada. They will also be opening a $99 route from London to America. Getting to and from Europe has never been cheaper. If you are a solo traveler, a big part of your trip will be meeting like-minded from all over the world. Luckily traveling has been growing in popularity. Even popular countries like Thailand are expecting record high tourist numbers in 2016. 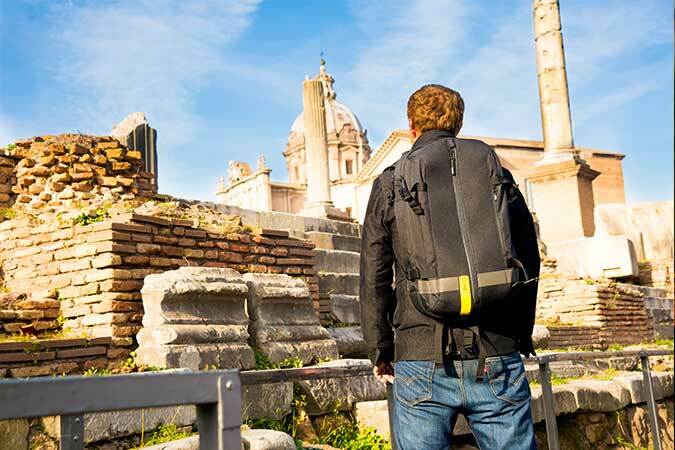 For solo travelers looking to make friends, this is fantastic news. The more people on the road, the better odds you have of making friends. Many airlines have announced opening new routes all over the world in 2016. What does this mean for travelers? Well, new routes mean more competition, which means more sales, and thus, lower prices. Plus, there are some great tools out there for finding excellent deals. I often use Kayak Explore, which tracks the lowest prices throughout the world. Also never underestimate exploring the airlines personal Internet sites. Technology is making travel easier than its ever been before. In recent years, with the introduction of smartphones, tablets, apps, and travel companies becoming more innovative, it has never been easier to navigate your way around the globe. Some map apps show directions even if you don’t have access to the internet. There are even apps that will pair like-minded adrenaline junkies together. Phone companies, like T-Mobile, have an international plan that provides unlimited data and free texting in over 100 countries making it incredibly easy to stay in touch with your loved ones. Tech is certainly changing the way we travel. People that were once very nervous about crossing over the pond, now feel the gentle nudge they needed to hit the road. New countries are opening up, and visa laws are changing making traveling the world more accessible. The United States now has a ten-year unlimited entry visa to China, which is funny enough, the same price as a single entry visa to China. Also, travel restrictions have been lifted on Cuba, and other countries like Burma are working to make traveling a lot easier. Tourism is an important part of the overall economy for many countries including Egypt and Nepal. In the last few years, both of these countries have seen hard times; Nepal with it’s massive earthquakes and Egypt with its political situations. When such these things happen, tourists quickly stop visiting, causing many locals to lose their livelihood overnight. These are just a couple of examples however, many countries have seen a major decrease in tourism due to world events. When you visit countries that have hard times, you are not only exploring the world but helping the local people and the economy recover. That’s a win-win if I have ever heard of one. Due to the recent drop in oil prices from countries like Canada and Saudi Arabia, the price of gas has plummeted many places around the world. When gas prices go down, travel cost go down, making it the perfect time to embark on that epic road trip you have always dreamed of taking. The price drop has also made domestic flights extremely affordable in the United States and many other places across the globe. When it comes to life, there is no BUT and no time to put your dreams on hold. You plan, save, and go. You have to make it happen because no one is going to make you go. Perhaps the main reason you should travel in 2016 is because now you can make it happen! 2016 is the year that you should demand the most out of your life! Travel opens up minds to new insights, revelation, and points of view. It teaches us valuable lessons about ourselves and completely changes our life. It has dawned on me; I’ve never heard anyone regret the trip they took however I’ve heard many people regret not making that dream trip a reality. All of these reasons make 2016 an excellent year to travel. When living in a world where the cycle of 9 to 5 never ends, I highly recommend taking a break away from the endless grind in 2016. Start living your dream and make this an awesome year for travel. Stephen Schreck runs the travel blog A Backpackers Tale. He is a long-term traveler taking advantage of all the perks of traveling in 2016. Follow his journey on one of the best travel instagrams.